When you visit Crested Butte we want your vacation to be as memorable as possible! Alpine Getaways works hard to ensure this is the case. Offering a variety of services to guests and owners sets us apart from the rest! 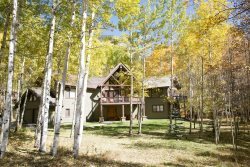 If you are planning a trip to Crested Butte please check out our concierge services. Designed to make your trip that much easier let us take care of planning activities, getting you a sitter and making your dining reservations! As a vacation rental owner, we offer you comprehensive, hands-on, local property management services. To put it simply we will advertise your rental, book it, clean it and maintain it for you getting the highest ROI possible. We also offer caretaking services whether your home is for rent or not we can keep it turn-key ready for you!